Play therapy is a type of therapy that, as the name suggests, involves playing. It has been around for a long time, even in an academic context. Recently, play therapy has been refined and targeted to a variety of different disorders, from autism spectrum disorder (ASD) to attention-deficit hyperactivity disorder (ADHD). Play therapy has also been used in normal functioning children and adults to great effect. Read on to learn what play therapy is and some of its benefits, as well as how to become a play therapist if it is something that interests you. “that the child revealed far more of himself when talking about things he liked to do, his favorite toys, his pets, his friends, etc., than when he was face to face with a psychiatrist who questioned him first about his troubles” (Gitelson, 1938). This belief still drives much of play therapy today. “the systematic use of a theoretical model to establish an interpersonal process wherein trained play therapists use the therapeutic powers of play to help clients prevent or resolve psychosocial difficulties and achieve optimal growth and development” (Association for Play Therapy). “child play therapy is a way of being with the child that honors their unique developmental level and looks for ways of helping in the “language” of the child – play”. Based on these definitions, it is clear that the APT considers the healthy development of a child to be the primary goal of play therapy. According to the British Association of Play Therapists (BAPT), play therapy lets children sort through complicated feelings and “use play to communicate at their own level and at their own pace, without feeling interrogated or threatened” (British Association of Play Therapists). This is a key aspect of play therapy since traditional therapy can often feel intimidating for children (and adults as well), which does not necessarily lead to a conducive environment for self-expression. The BAPT’s definition also underscores an important aspect of play therapy, which is the idea that the client can feel in control of how much they reveal about themselves. To sum up, play therapy is a type of therapy where therapists allow clients (who are often but not always children) to play during sessions, rather than simply sitting with clients and asking them questions about their problems. Play therapy can be nondirective, as in the case of allowing a client to play with sand to relieve stress, or directive, as in the case of having a client tell a story about a family using puppets to learn more about the client’s family dynamics. Play therapy can also be adapted to the client, as very young children play in different ways than adolescents and adults. The idea of play therapy is to let clients settle into a more comfortable situation where they are more willing to express themselves than they would be in a traditional therapy session. drawing/painting for the purpose of emotional expression (Allen & Hoskowitz, 2017). For example, in a group therapy session, a therapist might have a group take turns throwing a ball around, and anytime someone catches the ball they have to say something that makes them happy. For example, the therapist might present the client with a few stuffed animals (or ask the client to bring their own) to help comfort the child during a therapy session. For example, a client who has just undergone a stressful medical procedure might do a play examination on one of their stuffed animals, so they can feel a sense of control. For example, a therapist might use a baby doll to model positive, nurturing behaviors for the client, or might let the client play with the doll to see what the client’s instincts are. If the client starts mistreating the doll, it is possible that the client is being mistreated by their own parents (though of course, it does not necessarily mean that). For example, a young client who has just had a new baby sibling enter their life might feel unhappy about their new position in the family. The client’s parent can then play with a baby bottle as if the client was a baby again, so the client is less resentful of their new sibling. For example, the client and the therapist might each have a toy phone, and the therapist can ask therapy-related questions on the phone. The client might be more comfortable indirectly answering questions like this, and if they feel uncomfortable they can just hang up. For example, the therapist might give the client a magic wand and tell them they can make three wishes. At least one of the wishes is likely to relate to a real-life problem the client has. For example, the therapist might simply let the client run around blowing bubbles and popping them for stress relief reasons or to help a child bond with other children in a group session. For example, the therapist might construct a wall of building blocks and allow the client to throw a ball to knock the blocks down. This can help the client release anger. For example, the therapist might ask a group of children in a group session to keep a balloon up in the air for as long as possible, to foster bonding and to break the ice in a group session. For example, the therapist might give the client a phone book, and ask them to tear pages out of the book, crumple them up, and throw them into a trash can. This can help the client understand how to “throw away” angry feelings. For example, the therapist might let the client play with shaving cream by spreading it around, sculpting it, and even pretend shaving, so the client can creatively express themselves and feel more relaxed and in control. For example, a therapist might present dozens of toys to the client, then ask them to pick out toys that represent family members. This can help the therapist see what the client thinks and feels about their family members. For example, a therapist might give a client a turtle puppet, and explain that when the turtle is upset about something it stops, goes into its shell, closes its eyes, and takes three deep breaths. The client can then play out this process with the turtle puppet, and this can help the client learn anger-management techniques. For example, the therapist might ask a client to tell a story starting with “Once upon a time”. The story might reveal some of the client’s fears and hopes, among other things. For example, the client and therapist might work together to create a character that represents one of the client’s problems, such as a dragon that represents the client’s fear. The therapist can then ask questions about the problem without directly addressing the client’s fear, by externalizing the problem to the dragon. For example, the therapist might find a story or book that involves a problem similar to the client’s problem, and that provides a solution to this problem. While reading this story with the client, the therapist might ask questions relating the story to the client’s life, such as, “have you ever felt this way?”. For example, the therapist and client might role-play a situation the client is anxious about, such as the first day of school, so that the child can work out what they feel anxious about and possibly realize they do not need to be anxious at all. For example, the therapist and client might pretend that the client is being crowned the new king or queen of a land. The therapist can then ask what the new king or queen wants to do with their power, to figure out what the client likes and dislikes. For example, the therapist might ask the client to make two collages (masks) out of magazines. One mask (the “outside mask”) is how they think the world sees them, and one mask (the “inside mask”) is how they see themselves. This can reveal a lot about how the client thinks of themselves and the world. For example, the therapist might ask the client to draw a superhero with superpowers that the client would like to have. The therapist can then help the client figure out how their personal strengths can be as useful as these superpowers. For example similar to the concrete play metaphors example, the therapist might present the client and the client’s family with dozens of puppets, then ask the client and the client’s family to each choose a puppet to represent them. The client and the client’s family then tell a story using the puppets, and the therapist interviews each family member about the story then discusses the story with the whole group. This can reveal certain family dynamics that the client is unable or unwilling to directly discuss with the therapist. For example, the therapist and client might work together to figure out which colors represent which feelings (such as blue for sad, red for angry, yellow for happy, etc.). The therapist can then ask the client to draw a timeline of their life, using the colors to represent feelings. The therapist can also ask the client to draw different aspects of their life, such as school or sports. For example, the therapist might give the client a ball of clay and let them do whatever they want with it. The client might simply use the clay as stress relief, or they might sculpt things that are important to them or troubling them that they can talk about with the therapist. For example, the therapist might simply give the client paper and some crayons (or any drawing materials) and ask them to draw a picture. The therapist can then ask open-ended questions about the picture once it is completely done. For example, the therapist might ask the client to draw a traumatic experience in the client’s past, such as an earthquake. The client can then crumple up the paper and throw it away to feel some sense of control over the traumatic event. 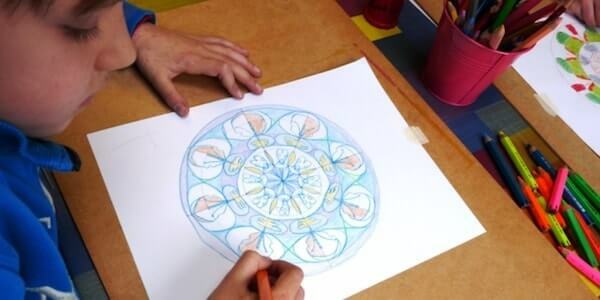 For example, the therapist might give the client a mandala template (some of which can be found here) and ask the client to color it in. The client can then make their own mandala and color in it if they wish. This can help foster creativity and relaxation. For example, the therapist might ask the client to draw a picture (nondirected) every session. After the picture is drawn, the therapist and client can talk about it, with the therapist not taking notes so it is clear they are present. These drawings over time might show the client’s state of mind as the therapy process progresses. For example, the therapist might ask the client to collage a nightmare they have been having on the inside and outside of the box. The client can then play with the box to become less scared of it. For example, the therapist might ask the client to finger paint whatever they want, after which the therapist can ask the client to tell a story about the painting. For example, the therapist might have a client simply play with a hula hoop, so that they focus and relax, which might put them in a better state of mind for a therapy session. For example, the therapist might ask the client to draw a picture of their family. Once the picture is drawn, the therapist can ask which drawing is which member of the client’s family and discuss whatever the client wants to discuss about the drawing. The ways various family members are drawn can be revealing. For example, the therapist might ask the client to use clay to sculpt their family members, including the client themselves. Once each family member has a clay figure, the therapist might ask the client to place them in relationship to each other, which can show the therapist how close or far from each family member the client feels themselves to be. For example, the therapist might present the client with a number of toy instruments and simply ask the client to make up a song or play along with another song. This can help the client express themselves, build self-esteem, and improve the therapist-client relationship. For example, a therapist might ask the client about a nightmare they have been having, then explain to the client that nightmares are like movies, and tell the client that they can change the nightmare if they do not like it. The therapist can then work with the client to figure out a happier ending for a nightmare, in an attempt to retrain the client’s brain to feel more control. For example, the therapist might give the client a tray half-filled with sand, and dozens of toys, including people, fantasy figures, and scenery. The therapist then allows the client to build their own world without providing any guidance or judgment. The therapist then asks the client questions about the world, still without providing any guidance. The idea is that the world the client builds might involve themes the client deals with in real life so that the world can be an opportunity to work through some of these issues. For example, the therapist might give the client a dollhouse and some dolls representing their family members. The therapist can then ask the client to model four different everyday scenarios in their real house: bedtime, dinnertime, playtime, and cleanup time, to figure out more of the client’s family dynamics. For example, the therapist might give the client a few dolls to represent themselves and their family members and ask them to play out a scenario that is similar to a real problem the client is having. The therapist can then help the client figure out ways the client can respond to these scenarios so that they have more positive outcomes. For example, the therapist might ask the client to close their eyes, imagine that they are a rosebush, and describe this rosebush to the therapist, including where it is, who cares for it, and any roots, thorns, or flowers it might have. The client can then draw the rosebush and tell its story to the therapist, at which point the therapist can ask which parts of the rosebush and its story the client identifies with. The therapist might find out that one of the rosebush’s roots relates to a past experience the client had but was not yet ready to talk about in previous sessions. For example, the therapist might put a number of mailboxes in front of the client, one for each family member and one for “Mr. Nobody”. The therapist then gives the client “mail”, which consists of strips of paper that read things like “loves me”, “hates me”, “protects me”, “hurts me”, and asks the client to put these pieces of mail in each appropriate mailbox (so if the client thinks their dad loves them, they would put a “loves me” paper in their dad’s mailbox). This can help the therapist further understand family dynamics. 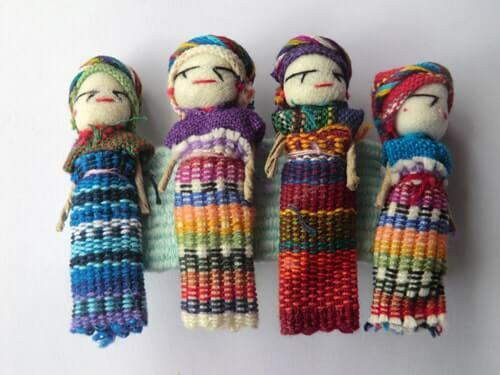 For example, the therapist might give the client a set of Guatemalan worry dolls or help the client make their own. The therapist can then ask the client to assign a worry to each of these dolls, put the dolls in a box, and leave the dolls in the therapist’s office so that the dolls can worry about the client’s issues instead of the client having to worry about them. In future sessions, the therapist can bring these dolls out one-by-one to discuss these worries and how the client is dealing with them. For example, the therapist might throw a tea party celebration for the client, to commemorate progress the client is making during therapy sessions or achievements the client has reached outside of therapy. 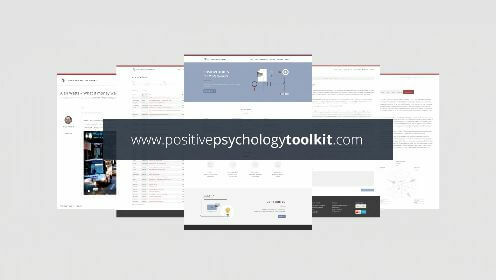 This positive reinforcement can help raise the client’s level of self-esteem and can help the relationship between the therapist and the client. For example, the therapist and client might play “The Talking, Feeling, and Doing Game”. A turn of the game might look like this: the client draws a card that says “Make believe that something is happening that is scary. What is happening?” and if the client does what the card says, they get a chip. During the game, the therapist can see how the client reacts in certain situations and advise them on how to react in these situations. For example, the therapist and client might play “Simon Says”, where the client has to do what the therapist says (such as jumping on one foot), but only if the therapist started their sentence with “Simon says…”. This can promote paying attention and self-control, as the client has to pay attention to what the therapist is saying and only do what the therapist says in certain situations. For example, the therapist might simply play a familiar strategy game with the client, such as chess, checkers, or pick up sticks. This can help the client focus and feel happier, as well as foster a bond between the client and therapist. These games can be especially useful during early therapy sessions if the client is uncomfortable with the therapist or the idea of therapy itself. Since they are strategy games, the client can also feel a level of control and mastery. For example, the therapist might play a cooperative game with the client, such as a game like Max the Cat, where players have to help a mouse, bird, and chipmunk get home before Max the cat eats them. Playing cooperative games like this can help the therapist-client relationship, and can also help the client build social skills, especially if they have trouble working together with their peers. For example, the therapist might play a game with the client that is mostly determined by chance, such as the board game Candy Land or the card games War and Go Fish. Like the other types of games mentioned above, these games are familiar and can help the client ease into a therapy session, as well as help the client build a relationship with their therapist. Since these games are mostly determined by chance, they also offer the client an opportunity to cope with unexpected losses that they could not have avoided and give therapists the opportunity to walk the client through these situations. For example, the therapist might close their eyes and draw a random squiggle on a piece of paper, then ask the client if the squiggle looks like anything or makes them think of anything. The client can then draw their own squiggle and ask the therapist if they think it looks like anything. The therapist and client take turns drawing random squiggles for each other to see if they can find anything in the squiggles. This game can help the client feel more comfortable in a therapy session, and can also work as a sort of Rorschach test for the therapist to find out more about how the client thinks. For example, a therapist might help a client work through their fear of the dark by desensitizing them to darkness. This might be accomplished by having the client and their parents play fun games at night in a gradually darker room so that by the end the client is still having fun despite being in the dark. This can show the client that there is nothing to be afraid of. For example, the therapist and client might take turns trying to make each other laugh in any way they can (without touching each other). The client’s parents can also play a tickling game with the client for the sole purpose of making the client laugh. Laughter causes lower levels of stress and can improve relationships, so either of these options are useful since an improved parent-child relationship and an improved client-therapist relationship are both beneficial. For example, the therapist might have the client play out a future stress-causing situation, such as an upcoming class presentation. The client can use toys to work out what might happen during the presentation, and the client might realize that the situation is not as scary as it first seemed. The therapist can also offer coping strategies for the client based on the client’s fears about the presentation. For example, the therapist might recreate a stressful event for the client, such as a car accident, using toys in the playroom. The client can then freely play with the toys in a nondirected manner to gain a sense of control over the situation and start losing some of those lingering feelings of trauma and fear. These recreations often need to happen multiple times over multiple sessions for optimal results. For example, a therapist might create hiding spaces in the playroom so they can play hide-and-seek with the client, and then act sad until they find the client, at which point they should react happily. This shows the client that the therapist cares for them and wants to find them and play with them. Of course, it is also beneficial simply by being a fun activity the therapist and client can bond over. For example, the therapist might ask the client if they want to see some magic, show them a magic trick, and then show the client how to do the magic trick themselves. This is a fun activity that can help the bond between the therapist and client. Showing the client how to do the trick themselves can also give the client a feeling of control and mastery, which can raise their levels of self-esteem. For example, the therapist might decorate their playroom walls with “feeling faces”, or faces that demonstrate different feelings such as happiness or anger. The therapist can then start off the therapy session by asking the client to point to a face that they identify with at the time, which can give the therapy session some direction. They can also be helpful for clients to show how they are feeling throughout the session without having to use words. For example, a therapist might create a “suitcase playroom”, which is simply a suitcase filled with the toys and materials necessary for play therapy. This is helpful for play therapists who do not have dedicated playrooms. The play therapist can then open up the suitcase to start each session and pack it up at the end of each session. This is not only practical for smaller therapy spaces, but also shows the client that the therapist cares for them since they are going out of their way to bring all these toys for the client. For example, a therapist might start every session with the client in the same way, perhaps by saying hello, asking the client to remove their shoes, and then starting the squiggle game. This predictability can show the client that play therapy is a safe space for them and can raise their levels of self-esteem and feelings of control. Rituals can also take place at the end of each therapy session so that the client knows that every session will end with a free drawing. Some of these techniques are designed to help children get rid of their aggression, while others are meant to be escapist fantasy games. Other techniques on this list involve representational play, where children can detail their problems to the therapist without doing so explicitly. Some are simply meant to help children pay better attention to things around them. This wide variety of techniques underscores how valuable play therapy can be to all sorts of children since there is a technique for just about every type of play a child might prefer. These examples were all taken from Cangelosi & Schaeffer (2016), and there is plenty more information about these techniques in the book for anyone who is further interested. Child-Centered Play Therapy (CCPT) is a type of play therapy most often used with young children, that involves nondirective play sessions where the child takes the lead and the main role of the therapist is to acknowledge how the child is feeling and what the child is doing, as well as ensure the child’s safety (Swank et al., 2015). The main job of the therapist during CCPT is simply to supervise the child’s playing and allow the child to express themselves however they please, rather than leading the therapy session. It is therefore important to have a wide variety of toys that appeal to a large range of children’s playing styles. Representative toys, like dolls, a bendable doll family, doll bed, clothes and accessories, pacifiers, nursing bottles, and doll furniture, hand puppets. Toys for a play kitchen or grocery store, like a fridge, a stove, a pitcher, pots and pans, dishes, plastic food, egg cartons, empty fruit and vegetable cans, rags or old towels, play money and cash register. Toys for pretend adventures, like toy soldiers and army equipment, toy guns, rubber knives, fireman’s hats and other hats, masks, trucks, cars, airplanes, tractors, boats, zoo and farm animals. Toys for creative, non-directed expression, like play-doh, clay, pipe cleaners, paint, paintbrushes, easels, chalk, and construction paper. The full list from the Center for Play Therapy at the University of North Texas can be viewed here. “play is a wholistic experience in that it invites our total being into the process”. Schaeffer goes on to say that play can raise our self-esteem, nurture stress release and allow insight into things going on in our lives. These are all qualities which are clearly helpful for adults along with children, yet most people still think of play as something for children. 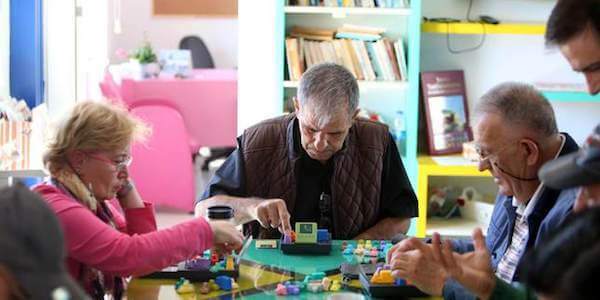 The idea of play therapy for adults is not to force adults to play, but to offer them the opportunity to work through feelings that they do not have the words for. Some types of play therapy which Schaeffer recommends for use with adults include dramatic role play and sand play. Play therapy has also been used successfully in a case study involving elderly adults in nursing homes (Ledyard, 1999). This study found that play therapy led to decreased levels of depression and increased levels of self-esteem, among other benefits. These benefits, of course, would be desirable for any population, furthering the idea that play therapy could be as useful for adults as it is for children. The idea of play therapy for children is that playing is the “language” of children, but this does not mean that adults would not be able to express difficult ideas while playing as well. “social interactions, social initiations, adaptive socialization, play, communication skills, social competence, social confidence, ASD-specific behaviours, belonging, family relationships, coping, making new friends, independence, and inter-personal skills”. Another play therapy intervention being used with children with ASD is Parent-Child Interaction Therapy (PCIT). PCIT involves a Child-Directed Interaction (CDI), where “parents are taught and coached to ignore negative attention-seeking behaviors; to provide attention for positive behavior; and to refrain from criticism, commands, and questions” and a Parent-Directed Interaction (PDI), where “parents are coached to give clear, direct, and age-appropriate commands and to consistently reinforce child compliance” (Zlomke et al., 2017). Play therapy has increasingly been used with children who exhibit symptoms of post-traumatic stress disorder (PTSD). One such case involves two children who were traumatized by the effects of Hurricane Katrina in the Southeastern United States in 2005 (Dugan et al., 2009). One of these children showed fear around water, such as during bath time or when thunderstorms would appear, and also refused to sleep by himself. In his first play therapy sessions, he exhibited themes of control, safety, and aggression. After a few sessions, he started showing nurturing themes in his play, as well as trauma re-creation where he “drowned” characters in the sandbox. By the eighth session, the child was able to enjoy himself at a water park without being scared of the water, and after a few additional sessions, he was able to sleep by himself again. The success of this play therapy can partially be attributed to the repetitious nature of the play, where the child was able to desensitize himself to the source of his trauma. The child also indicated a higher level of independence, perhaps due to the fact that he could choose how to work through his issues in play therapy. This type of repetitious play therapy is especially valuable for young children who might not be able to recover as well in a traditional cognitive-behavioral therapy program. Child-Centered Play Therapy (CCPT) has been found to be effective in treating anxiety in six- to eight-year-old children (Stulmaker & Ray, 2015). Specifically, 12-16 individual half-hour sessions of CCPT over eight weeks reduced self-reported anxiety symptoms in children more than sessions where children just colored with a counselor. This is promising, since anxiety is “considered one of the most current and pervasive childhood disorders, with a poor prognosis if left untreated”, and traditional methods of treating anxiety do not always work with children (Stulmaker & Ray, 2015). Cases of childhood anxiety highlight the importance of play therapy. By providing therapy in a lower-pressure environment where even young children can understand what is going on, play therapy can be an invaluable resource for parents and schools. The Stulmaker & Ray study also claims that play therapy can be a preventative factor in childhood anxiety, on top of being an available intervention for existing anxiety. Play therapy has been increasingly used in cases of attention deficit hyperactivity disorder (ADHD), since one of the challenges that can come with childhood ADHD is difficulty playing with other children (Wilkes-Gillan et al., 2014). One such study by Wilkes-Gillan et al. in 2014 focused on children who had already undergone a play therapy program with a licensed therapist. In this study, children underwent a seven-week program which involved parent-led home sessions and three clinical therapist-led play therapy sessions. The study showed evidence of increased prosocial behavior during playtime, especially in the clinical, therapist-led sessions. Parents also reported that seeing their children in the therapist-led sessions helped them lead the parent-led sessions. This study shows that there is a promising future for parent-led play therapy sessions for children who have ADHD. The Stulmaker & Ray (2015) study shows the value of play therapy in schools, especially since play therapy had a preventative effect on anxiety and worry levels. Another study showed that 26 sessions of Child-Centered Play Therapy (CCPT) led to increased academic achievement long-term in normal functioning first-grade students (Blanco et al., 2017). Interestingly, these improvements in academic achievement differed from child-to-child, with some improving more in math and others improving more in reading, for example. This indicates that play therapy has individualized effects on each child, which makes sense since the way a child plays is unique to them. Since one study focused on preventing anxiety symptoms and the other focused on academic achievement in normal functioning children, this indicates that play therapy can be extremely valuable for schools, since it can be applied to all children. Play therapy is also valuable for schools since it can easily be implemented, as most schools have school psychologists and all children enjoy playing in some way or another. Most importantly, play therapy is effective with extremely young children in a way that other therapies are not (Stulmaker & Ray, 2015). To earn an RPT, RPT-S, or SB-RPT credential, one must first have a master’s degree or higher in child development, child and adolescent psychotherapy, or a related field. One must also have either 2,000 (RPT and SB-RPT) or 5,000 (RPT-S) hours of supervised clinical experience, as well as 150 hours of specific play therapy instruction from an APT approved provider. One must also have either 500 (RPT), 600 (SB-RPT), or 1,000 (RPT-S) hours of supervised (by an RPT-S) play therapy-specific experience. At this point, one can apply for RPT or SB-RPT licensing. To become an RPT-S, one must complete six additional hours of supervisor training, so that they can supervise future prospective RPTs. Finally, whether one chooses to be an RPT, RPT-S, or SB-RPT, 18 hours of continuing education is required every three years. More information on APT credentialing for play therapy can be found here. The APT lists 30 approved places to learn about play therapy for credentialing and these can be found by pressing “continue” on this page. Since the APT is in the United States, so are all these centers. They are, however, spread across the country. The BAPT lists three master’s programs which qualify as BAPT-approved training centers. These are offered at Roehampton University, the University of South Wales, and Queen Margaret University in Scotland. All three of these programs include supervised clinical experience, which is necessary for certification. There are also online options for play therapy training. For example, Capella University offers a graduate certificate in play therapy which is offered completely online, and the faculty chair of this program is a registered RPT-S. The program requires a master’s degree in counseling or psychology. Capella University is an APT-approved provider of play therapy instruction. More information on this program can be found here. One last online option for play therapy training is from the Rocky Mountain Play Therapy Institute (RMPTI), which is also an APT-approved play therapy instructor. The institute is also an approved instruction provider for the Canadian Association for Child and Play Therapy (CACPT). The RMPTI offers training programs for prospective play therapists as well as continuing education for current play therapists. More information on this program can be found here. The BAPT offers a collection of job listings on their website, which can be accessed here. These jobs show the variety of settings play therapy can be valuable in, from jobs helping children who have suffered trauma or sexual abuse, to jobs helping teach other play therapists, to school-based jobs. Most of these jobs involve working with children. The Bureau of Labor Statistics (BLS) does not track play therapists, but it does track recreational therapists, who do recreational activities with injured and disable people to improve their well-being. The two jobs are not quite the same, but they are similar in some ways and indicate a similar recognition of the value of play and recreation. According to the BLS, “employment of recreational therapists is projected to grow 12 percent from 2014 to 2024, faster than the average for all occupations”, with many of these jobs being in nursing homes and adult daycare programs. This BLS data may indicate a similar increase in the need for play therapists in the future. These two sources show that there are many available jobs for play therapists in the present working with children, but that we may start seeing an increased need in the future for play therapists working with adults. Regardless, the job outlook for play therapists looks promising, and it is hard to imagine that it will go down in the future as the value of play therapy continues to be studied. Some of us like to find books that can take us on deep dives into a subject. If you are one of these people, here are five books that might interest you. From foundational texts on play therapy to more modern, updated collections, and whether you are a prospective play therapist or simply a curious parent, at least one of these books is for you. Axline, V.A. (1981). Play Therapy: The Groundbreaking Book That Has Become a Vital Tool in the Growth and Development of Children. New York, NY: Ballantine. This classic book on play therapy has informed play therapists for decades. In it, the author overviews several case studies of play therapy throughout the years, with a wide variety of children and a wide variety of issues they were working through. This is a great option for anyone who wants to read up on the history of play therapy or someone who wants to start to understand what it is all about. It is fairly dated, however, so it is probably best read in conjunction with another, more recent book on play therapy. Crenshaw, D.A., Stewart, A.L. (Eds.) (2016). Play Therapy: A Comprehensive Guide to Theory and Practice. New York, NY: The Guilford Press. This book is an invaluable resource for play therapists of all specialties, as it is a collection of play therapy exercises as told by experts practicing in the field. From play therapy for grief to play therapy for autism spectrum disorder (ASD) and even play therapy for children in military families, this book has targeted exercises for any problem a client might come in for. This book is a great option for any prospective play therapist or any play therapist who wants to expand their practice to other disorders but is not sure where to start. Kenney, L., Comizio, R. (2016). 70 Play Activities for Better Thinking, Self-Regulation, Learning & Behavior. Eau Claire, WI: PESI Publishing & Media. This book from experienced school psychologists is a great option for play therapists as well as parents, and even for older children themselves. The book contains worksheets and activities the reader can use to help themselves think better, pay more attention, and make better choices, meaning a child can work through it themselves or with a parent. Play therapists can also use it to get ideas for their own practice. This book is the best option for parents who want to try out some of play therapy’s ideas with their own children at home. Mullen, J.A., Rickli, J.M. (2013). Child-Centered Play Therapy Workbook: A Self-Directed Guide for Professionals. Research Press. Champaign, IL: Research Press. This is a workbook of all sorts of activities therapists can use in their play therapy sessions. Along with introducing these exercises, the authors also discuss the value of play therapy and each particular exercise so therapists understand why they are doing a particular exercise. The book also includes activities for the reader, which will help prospective therapists put themselves in the place of their clients and better understand their needs. This book is a must-read for any therapist who is planning on conducting play therapy sessions in their practice. Nemiroff, M.A. (1990). A Child’s First Book about Play Therapy. Washington, DC: American Psychological Association (APA). While Kenney & Comizio’s book is great for older children and parents, this book is targeted directly to four- to seven-year-old children in therapy for the first time. It explains the reasons someone might talk to a therapist, how a therapy session works, and how play therapy itself works. This option is perfect for any child who is entering play therapy but is unsure why or is feeling nervous about the process. Play Therapy: The Art of the Relationship is a book by Garry L. Landreth which functions as a handbook for any therapist interested in using play therapy with children. The author is a major proponent of play therapy and the founder of the University of North Texas’s Center for Play Therapy. The book covers Child-Centered Play Therapy and how to introduce it into a practice, up-to-date research on play therapy, as well as legal and ethical issues a therapist must keep in mind when practicing play therapy. Along with tips on working with children, the book also includes tips on working with parents of the children being treated. This comprehensive volume on play therapy is an excellent option for college courses on play therapy, as well as an excellent option for any therapist who wishes to start using play therapy in their own practice. According to the Association for Play Therapy (APT), the Annual Association for Play Therapy International Conference and Exposition is a six-day conference on play therapy attended by about 1,000 therapists and prospective therapists each year. The conference includes about 60 workshops and about 40 hours of licensed continuing education opportunities. It also serves as a marketplace for play therapists to find new toys, games, and activities to use with their clients. The conference is an excellent way for play therapists to network and share knowledge with other play therapists, as well as a great way to fulfill continuing education requirements. It is also the best place for vendors to inform play therapists about potential new play therapy tools and games. If books are not for you, or if you prefer a bit more information before committing to a book, here are some PDFs and powerpoint presentations which might be helpful. From collections of play therapy interventions to PDFs which can help you decide if your child needs play therapy, here are some short-form sources of information. You have to download the powerpoint presentations before you can see them, but I can vouch for their safety as I downloaded them myself to preview them. This PDF, from social worker and play therapist Liana Lowenstein, details a few play therapy interventions that families can easily use with their own children. The PDF is aimed towards play therapist but describes each intervention so parents can use it by themselves. From playing pin the tail on the donkey to making a mix CD, parents are sure to find something their child will like in this PDF. 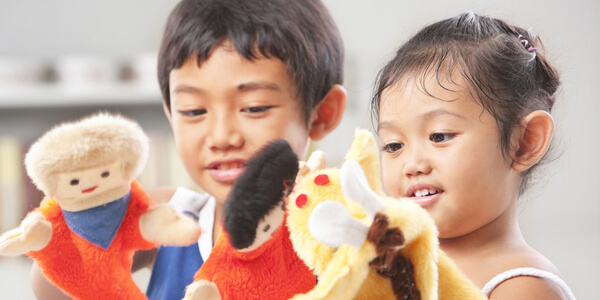 For parents who are unsure how to support their child during play therapy (or parents who are unsure if their child needs play therapy), the Child Guidance Clinic in Singapore has put together this PDF. It is meant to be in brochure form, so the sections are a bit out of order. That said, there is valuable information for parents here, from how to tell if your child needs play therapy to how to greet your child directly after a play therapy session. For an off-beat application of play therapy, the Humane Society of Chittenden County has put together this PDF detailing play therapy for your cat! From helping multiple cats get along to help your cat be less stressed, this guide will help you and your cat bond during playtime. While this might seem silly, it might be just what your cat needs. An excellent PowerPoint presentation on play therapy from a lecturer at the University of Toronto can be downloaded here. The presentation walks through different types of play therapy, the goals of play therapy, and even a few case studies. This presentation is a comprehensive overview of play therapy that anyone can understand, but it could be especially helpful for teaching the subject to prospective play therapists. Another PowerPoint presentation comes from a school counselor, and it is all about play therapy in schools. The presentation can be downloaded here. The presentation walks through different types of play therapy, as well as details of the therapy session, such as the type of language to use. This presentation could be an excellent resource for any school counselor who is thinking of introducing play therapy into their practice. If you prefer videos to reading, here are some YouTube videos which can tell you more about play therapy. Some are short (under two minutes) and some are long (over 20 minutes), but they are all about play therapy. Pick one and either dive right into a play therapy session or learn more about the practice in a TED Talk. BAPT: Play Therapy In Action: This video, from the British Association of Play Therapists, serves as a quick overview of some scenes that might play out during play therapy sessions. The children in this video are actors, so it is more of an explanatory video than a look into a play therapy session. This video is an excellent way to see how different children might react to play therapy sessions, as well as a way to see if play therapy might be a good option for someone to try. Play Therapy with Explanation of Techniques: This is an excellent video about play therapy, as it lets the viewer into a play therapy session, stopping along the way to discuss crucial aspects of the therapy session. This is a great video for anyone who is not sure what play therapy should look like or anyone who thinks they understand play therapy but needs a bit more guidance before they feel ready to introduce it into their practice. This video is eight minutes long. Play Therapy Session: This video is another recorded play therapy session, but this one comes in at 22 minutes. The video is not narrated, so it is an opportunity for the viewer to feel like they are sitting in on a complete play therapy session without interruption. The video is split between a non-directed approach and a directed approach, so the viewer can see what both approaches look like during a play therapy session. Play is the Child’s language: Play Therapy | Joanne Wicks: This 10-minute TED Talk on play therapy from play therapist Joanne Wicks explains the value of play therapy and the proper ways to conduct a play therapy session. In the video, Wicks explains the ways that a therapist might accidentally sabotage a session, such as by unknowingly directing a session when they want the client to direct the session. This video is entertaining and informative for play therapists but also serves as a way to teach parents different ways to play with their own children. GroundWork Counseling – Child Therapy | What Is Play Therapy? : This video serves as a very short introduction (coming in under two minutes) to play therapy, some of its techniques, and its value. It is far from comprehensive but can be a great introduction to play therapy for someone who knows absolutely nothing about it. The video is produced by a counseling center offering their play therapy services, but only the very end is specifically about the center. Since playing is considered to be the language of children, playing with a child can be a better way to learn about them than sitting down and talking to them about their problems would be. From normal functioning children to children who struggle with anxiety, play therapy is a fun, low-pressure option for children to start increasing their levels of well-being. Children do not get to have all the fun, though, as play therapy is also increasingly being used with adults, even in parallel with more traditional forms of therapy. If you are an adult who feels that play therapy would be a better way to express yourself than talking, or if you have a child who seems most like themselves when they are playing, play therapy might be the perfect option for you. If you are a prospective play therapist, keep in mind that every child (and adult) likes to play and express themselves in different ways. That said, by being nonjudgmental and nonguiding (in nondirected sessions) or clear with your instructions (in directed sessions), it should only be a matter of time before you start to get to know your client in a personal way. Becoming a certified play therapist is also similar to becoming any type of certified therapist, so achieving your goal of becoming a certified play therapist and helping children and adults figure things out at their own pace is only a matter of dedication and hard work. Annual APT Conference Overview. (n.d.) Association for Play Therapy. Retrieved from http://www.a4pt.org/?page=AnnualConference. Find Approved Centers. (n.d.) Association for Play Therapy. Retrieved from http://www.a4pt.org/search/custom.asp?id=2398. Job Outlook. (2015, December 17). Bureau of Labor Statistics. Retrieved from https://www.bls.gov/ooh/healthcare/recreational-therapists.htm#tab-6. Jobs. (n.d.) British Association of Play Therapists. Retrieved from http://www.bapt.info/jobs/. Landreth, G.L. (2012). Play Therapy: The Art of the Relationship: 3rd Edition. London, UK: Routledge. Ledyard, P. (1999). Play Therapy With The Elderly: A Case Study. International Journal of Play Therapy 8(2), 57-75. Nemiroff, M.A. (1990). A Child’s First Book about Play Therapy. Washington, DC: American Psychological Association (APA). Play Therapy. (n.d.) British Association of Play Therapists. Retrieved from http://www.bapt.info/play-therapy/. Play Therapy. (n.d.) Capella University. Retrieved from https://www.capella.edu/online-degrees/certificate-play-therapy/. Play Therapy Credentials. (n.d). Association for Play Therapy. Retrieved from http://www.a4pt.org/page/CredentialsHomepage. Play Therapy Training. (n.d.) British Association of Play Therapists. Retrieved from https://www.bapt.info/play-therapy/play-therapy-training/. Recommended Toy List. (n.d). Center for Play Therapy. Retrieved from http://cpt.unt.edu/about-play-therapy/recommended-toy-list. Schaefer, C.E., Cangelosi, D. (2016). Essential Play Therapy Techniques: Time-Tested Approaches. New York, NY: The Guilford Press. Training Programs. (n.d.) Rocky Mountain Play Therapy Institute. Retrieved from http://rmpti.com/training/. Such a rich and helpful article. Thank you! This is very helpful. Thankyou for sharing. Very excellent article! Thank you, Joaquin! thank for all information and very useful for me. Thank you for reading. Play therapy can indeed be very helpful and I hope you learned even more about its various techniques from this piece.